As a weapon, damascus held superiority over traditional iron weapons for its hardness and sharpness. In fact, damascus blades were believed to be sharper than any other steel weapon. Produced by swordsmiths for eleven centuries, damascus steel altogether vanished from production in the 19th century. However, a resurgence of this unmistakable steel occurred in 1998, and now damascus steel rings are growing increasingly popular. What’s all the buzz about damascus steel rings? 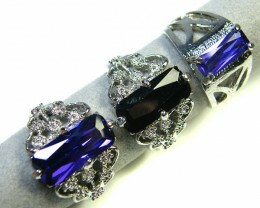 Well, for one the craftsmanship is uncanny and the unique patterns create a one-of-a-kind appeal as no two rings are alike. 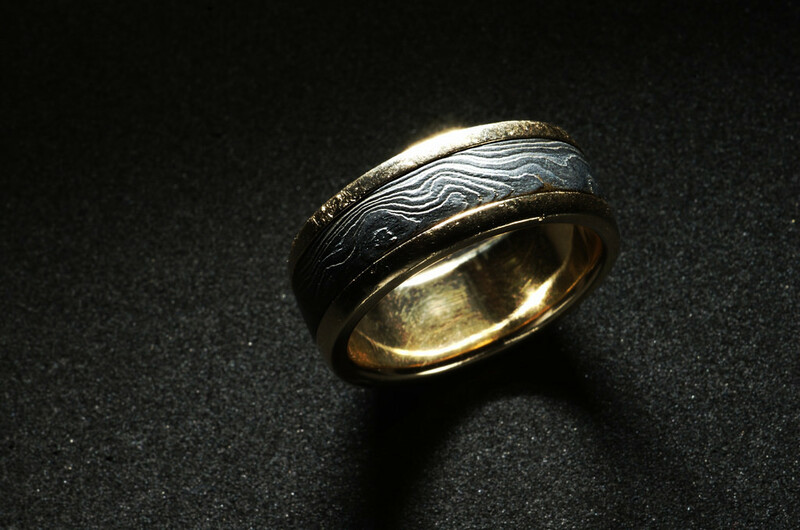 However, damascus rings can be difficult to resize. 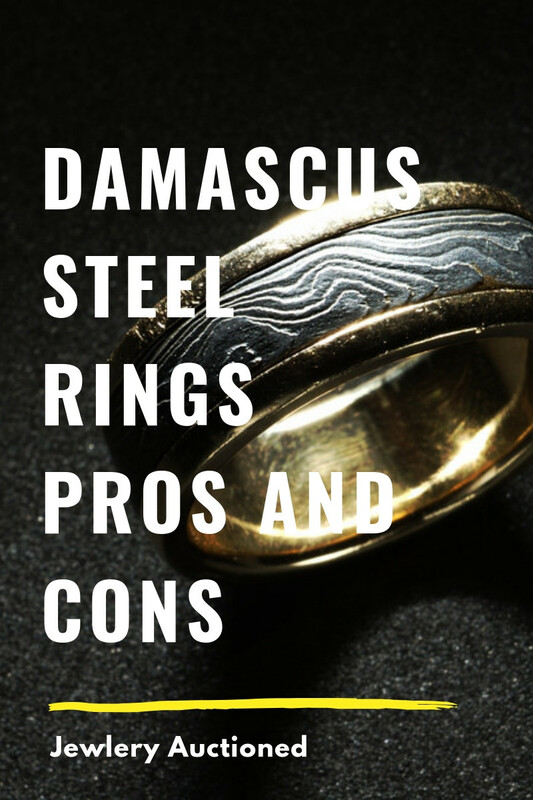 Let’s explore damascus steel rings pros and cons to help you decide if they’re right for you. How is Damascus Steel Made? 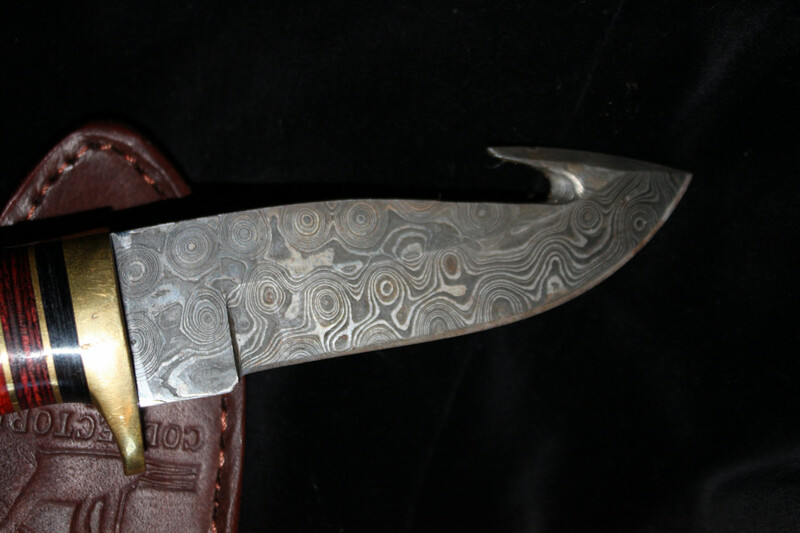 Damascus steel is forged from steel ingots of wootz steel sourced from India and Sri Lanka. The key to the stunning wavy patterns is to place various metals of different shades in stacks that are bonded together with heat. Once hot, the metal is twisted and shaped into a unique surface pattern. 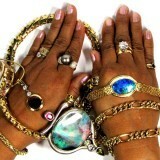 Because different shades and metals are used, no two patterns are alike. Initially, this feature made Viking and Samurai warriors weaponry a unique and lethal combination. Damascus steel is crafted with pure artistry, making it a unique and popular wedding ring style. Water Pattern Damascus Rings: Full of movement and fluidity that resembles the tranquility and motion of water. Wood Grain Damascus Rings: Evoking structured, yet spontaneous patterns of wood grain, bark and tree rings in an asymmetrical composition that is earthy and elegant. Geometric Pattern Damascus Rings: Perhaps the most novel of the damascus patterns is the geometric, featuring a repetitive arrangement of circular shapes that are structured and unwavering. Though the pattern still retains fluidity, it’s much more uniform than the wood grain or water patterns. A major pro of buying a damascus steel wedding ring is the price. Damascus is made with metal alloys which are relatively inexpensive. That said, you’ll want to ensure when buying a damascus steel ring that it’s high-quality. There are cheaper options available that are made with—you guessed it—cheaper metals. The risk here is buying something that will flake, irritate the skin and likely not be a good investment long-term. 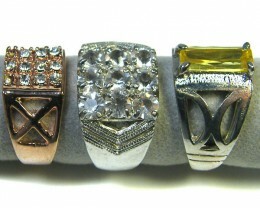 With that in mind, you can expect to purchase a good-quality damascus steel ring in the $400-$1000 range. Are Damascus Steel Rings Durable? Absolutely! In fact, damascus steel is heavy duty and long-lasting, making it an optimal ring choice for daily wear. What’s more, damascus is highly scratch-resistant. What makes damascus steel so durable? Well, if we look at its history, damascus was used by swordsmiths for weaponry. It’s safe to say: damascus is no flimsy metal, it’s going to last a lifetime and is relatively easy to maintain. The key is to buy authentic damascus steel with etched patterns, rather than surface painted patterns which inevitably flake off. Let’s talk about damascus steel ring maintenance. 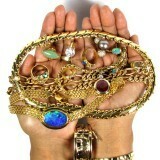 As with any jewelry piece, daily wear and tear result in buildup that requires maintenance. The great thing about damascus steel is that it’s easy to clean. Simply use soapy water to wash away residue and add the shine back to damascus’ natural luster. Scrub tough dirt and grime with soft bristles of a cleaning brush or toothbrush. 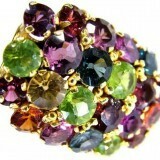 Depending on how much you wear your ring, you may want to clean it once a week to keep the luster shining. Take extra care not to expose damascus steel to harsh chemicals that can tarnish or breakdown the metal. If you’re cleaning with chemical cleaners containing chlorine, be sure to take the ring off to prevent damage. What about Damascus Steel Rust? Many people wonder if damascus steel rings rust, and it’s an important issue to address. There is a stigma that damascus steel rings rust, however quality alloy damascus steel will not rust. Why? Simply put, they’re durable enough to resist rusting. The most durable alloys used in damascus steel are marine alloys in 304L and 316L. Any other damascus rings will likely rust as the alloys used to create them are cheap iron alloys. So, the important thing to keep in mind when purchasing a damascus steel ring is to ensure that it’s made using high-quality marine alloys. If you’re concerned about resizing your potential damascus steel ring, you’ll want to check with the jeweler prior to purchasing. Why? Well, it’s not exactly a yes or no answer because it depends on which metal alloys were used to create the ring. 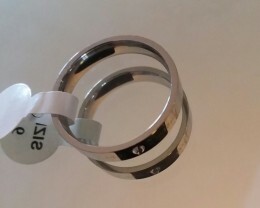 For example, the steel alloys in the ring must be malleable to cut and resize. That said, damascus is built to be extremely durable, making resizing them a somewhat difficult task. It is possible to go up a quarter size by removing a bit of the lining or the liner completely. Resizing a damascus ring requires finesse and isn’t always possible, which is why it’s important to discuss this with your jeweler before you buy it. Are Damascus Steel Rings Hypoallergenic? Generally, damascus rings are hypoallergenic. However there are cases where nickel is used as a metal alloy. Nickel is an irritant for some people. If this is true for you, ensure that the damascus ring you’re interested in does not contain nickel. Should I Buy a Damascus Steel Wedding Ring? Let’s recap. The pros of buying a damascus steel wedding ring definitely exceed the cons. Really, the only thing to keep in mind is that cheaper damascus rings might not be hypoallergenic and may rust if made from low-quality steel. 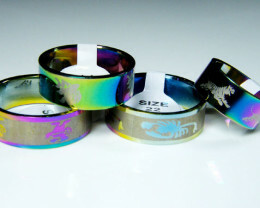 There may also be some difficulty in resizing damascus steel rings. That said, the pros include warrior-strength steel, a unique and one-of-a-kind pattern that’s easy to maintain. Plus, damascus rings are extremely durable, making them great options for those that work with their hands. 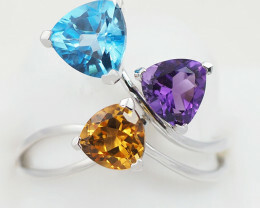 The icing on the cake is that these stunning and unique rings are affordable. If you want a touch of ancient armory juxtaposed with fluid nature patterns that’s built to last, you’ve met your match with a damascus ring.